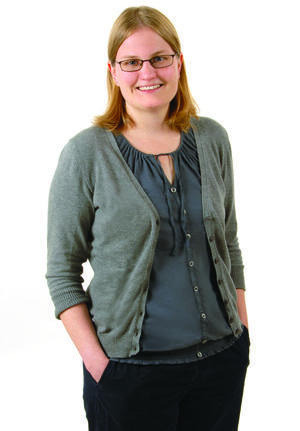 Profile: Dr. Prescher received her B.S. in Chemistry from the University of Wisconsin, La Crosse in 2001. She received a Ph.D. in Chemistry from University of California, Berkeley in 2006. Dr. Prescher was a Susan G. Komen postdoctoral fellow at Stanford University from 2008 to 2010. The Prescher lab focuses on the development of chemical tools and noninvasive imaging strategies to probe immune function. The immune system comprises a vast network of disease-fighting cells that defend the body against multiple threats, but how these cells communicate over space and time to eliminate pathogens, cancer cells, and other hazards is not completely understood. The Prescher group aims to understand the complex interactions that underlie immune function by visualizing immune cells “in action”. In the lab, researchers utilize a combination of chemical and biological techniques to equip cells with various imaging probes. These probes are then used to track the movements, interactions, and functions of immune cells in whole organisms. Collectively, these studies are bringing chemistry from the test tube into living subjects, and illuminating the mechanisms employed by the immune system to combat disease. Abstract: Cellular networks drive diverse aspects of human biology. Breakdowns in cell-to-cell communication also underlie numerous pathologies. While cellular interactions play key roles in human health and disease, the mechanisms by which cells transact information in vivo are not completely understood. The number of cells types involved, the timing and location of their interactions, the molecular cues exchanged, and the long-term fates of the cells remain poorly characterized in most cases. This is due, in part, to a lack of tools for observing collections of cells in their native habitats. My group is developing novel imaging probes to “spy” on cells and decipher their communications in vivo. Examples of these probes, along with their application to studies of cancer progression and host-pathogen interactions, will be discussed.